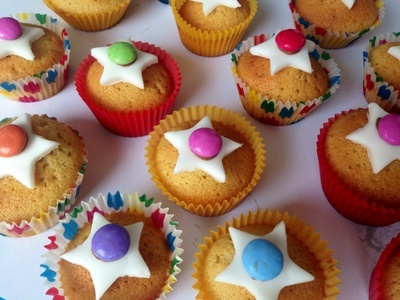 These star fairy cakes are really easy to make and decorate. Kids can enjoy getting involved in the process. 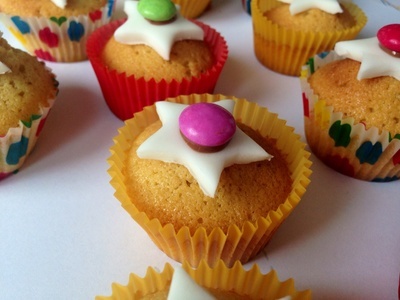 They are ideal for a kids party food table or a fundraising cake sale. 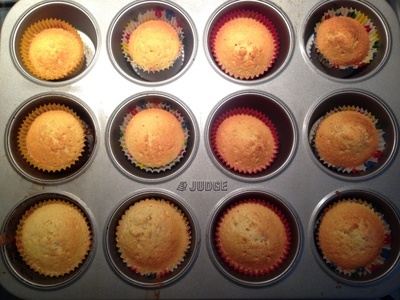 Make cake mix by beating the butter, sugar, flour, eggs and vanilla essence together in a bowl. Spoon into decorative baking cases, filling each case half full. 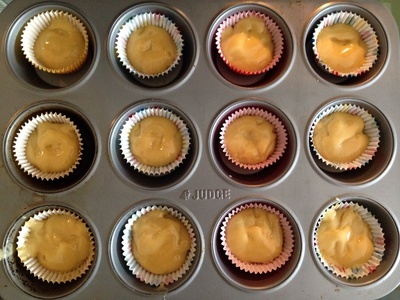 Bake for around 15 minutes at 180 degrees or until the cakes are golden. Roll out the white ready roll icing. 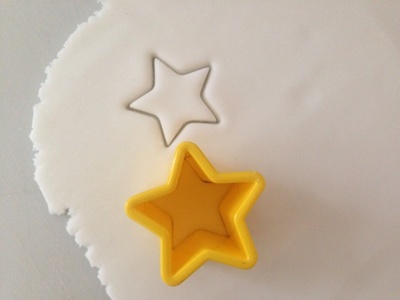 Cut small star shapes out with a cookie cutter and place a star on top of each cake.